Traveling has always been a big treat for me. I’m constantly dreaming of a tropical destination, beautiful sights of a turquoise ocean and miles of golden sand. Cancun offers exactly that and much more. While it is unavoidably also a spring break capital, I’m 100% certain that if you are a family with kids, Cancun still have many attractions that will ensure a great time without breaking your wallet if you know the tips to stay on budget. -Book a shuttle service before hand to ensure smooth and easy traveling from the airport to your hotel and backwards. I used Happy Shuttle service. -If you are into watersport and surfing, the eastern coast ocean will be an amazing challenge for your adventurous nature with strong and beautiful waves. -Northern area of the beaches, on the other hand, is more suitable for family with young kids. The water seems to be more calm with less rocky surfaces. -If you are a huge fan of Scuba diving, this is your chance to experience the second largest coral reef in the world. 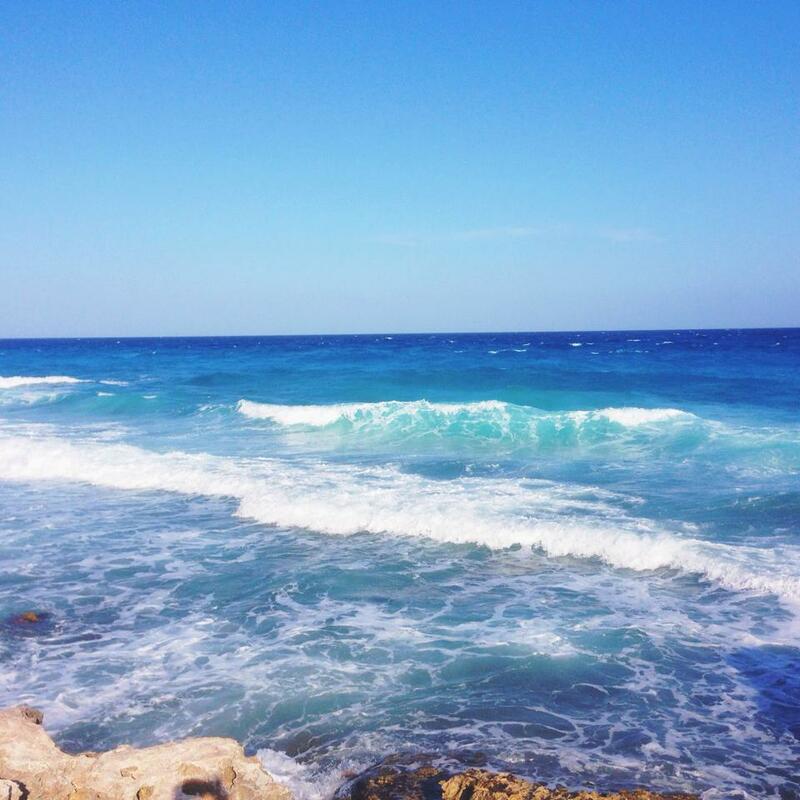 Cancun water is vividly clear and its color is layers of the most beautiful shades of blue! I grew up in a country that is was blessed with many gorgeous beaches, and I’m still very impressed with Cancun’s beach. -With its perfectly warm and tropical weather, Cancun was blessed with many natural resources that allow the island to offer very fresh and cheap supply of food. However, many restaurants located within Cancun, especially ones in tourist dense areas will be charging prices that are equivalent to US dollar prices because tourism is their main source of income. -At many taco/burrito places (Taco Factory, etc. ), when you order tacos, it’s best that you specifically ask them to give you cilantro, onions and limes with the tacos. Otherwise, chances are they will arrive bland. If you look for flavorful Mexican tacos/burritos, but still want the option of being able to select and fully manage your toppings as in the case of Chipotle, you definitely need to pay Surfin Burrito a visit. 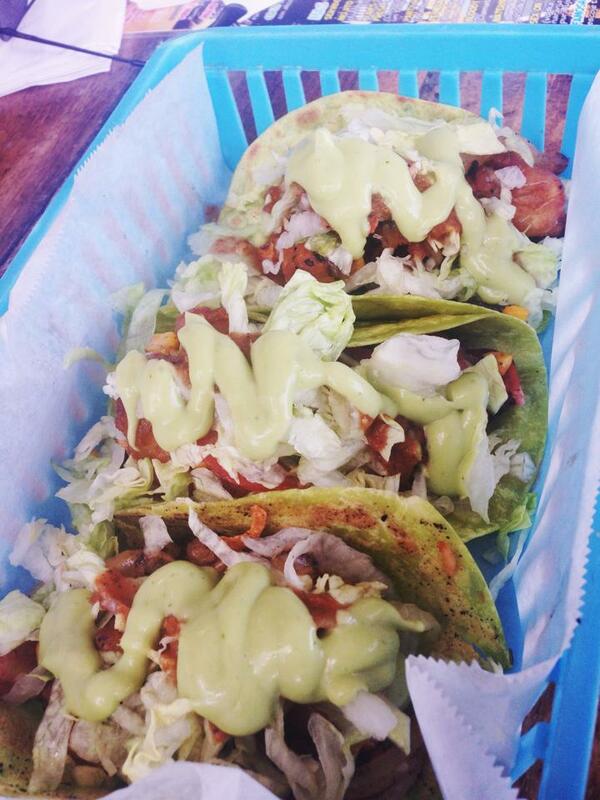 Below is a picture of my glorious cilantro tortilla tacos with tahi tahi and avocado sauce. 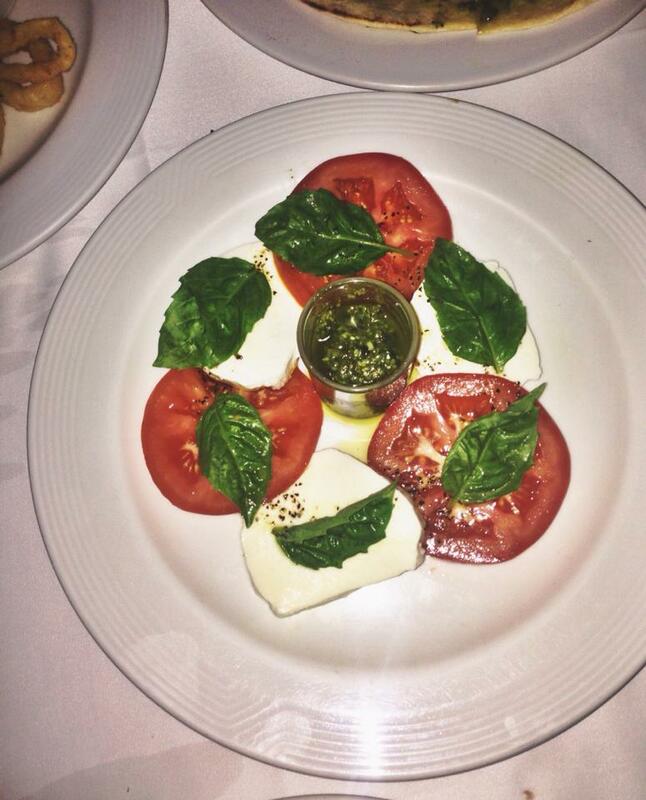 Mouth watering. They also have really good Pina colada served in a pineapple :)! 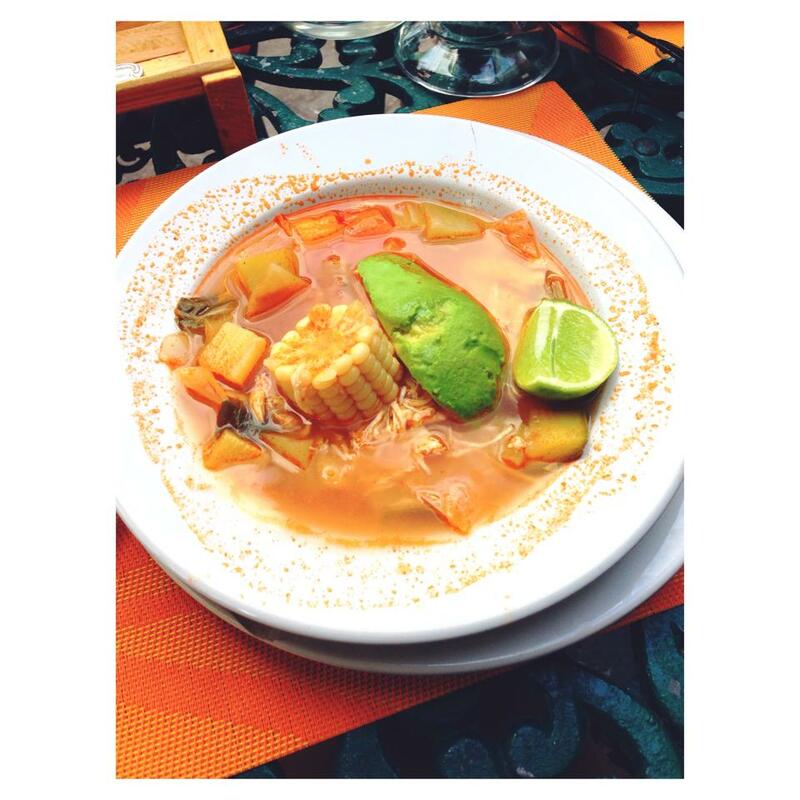 -If you are staying for a couple weeks and start to get sick of Mexican food, don’t panic! 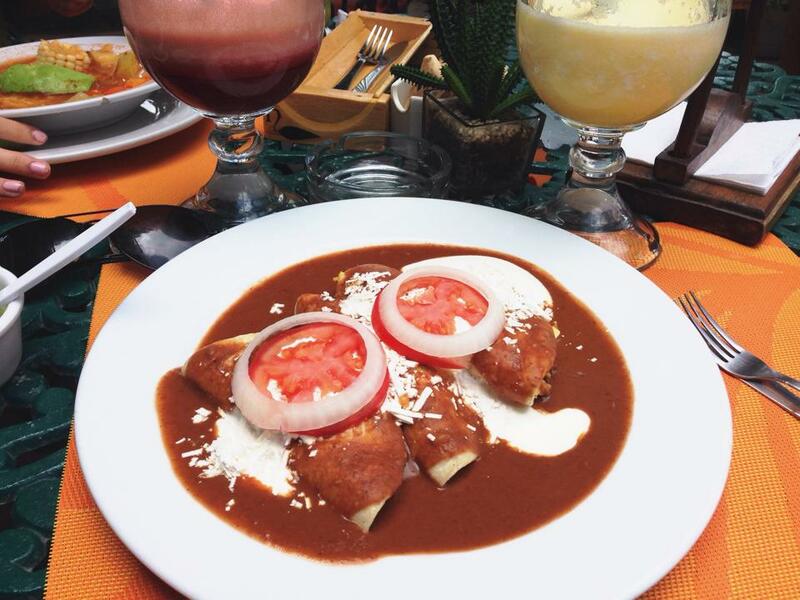 Cancun is also filled with other cuisines. For Italian/ Western food, I would recommend La Dolce Vita, a very old and well known local restaurant located downtown of Cancun! 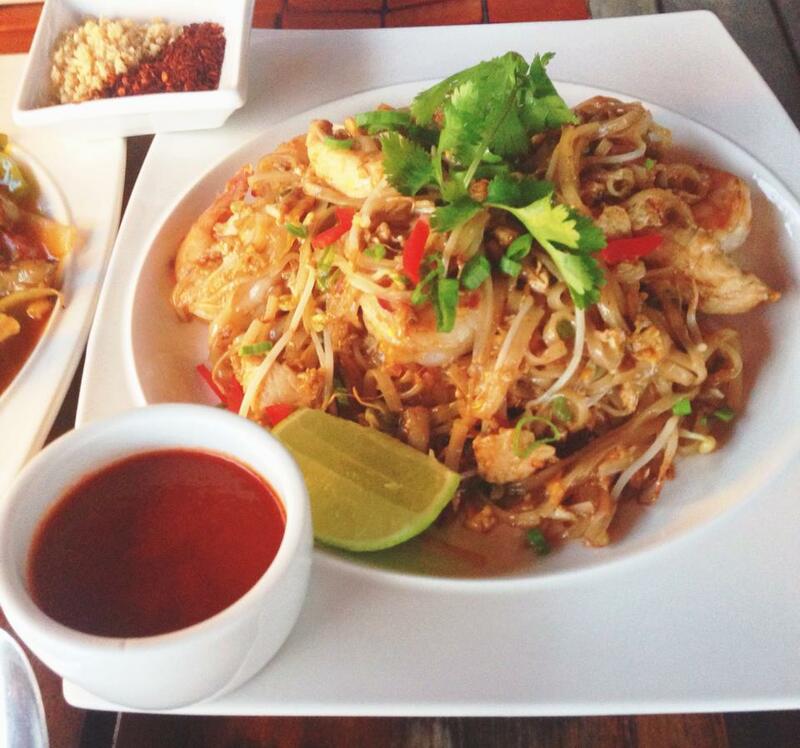 -Another very famous, non Mexican spot is Thai Lounge. he amazing perk is you will get to sit in a private tiki hut on top of the Lagoon water and get to see this beautiful view (which is harder to access due to the crocodile population in the Lagoon). Price point is pretty expensive due to the location (in a very luxury shopping center), and service type, but the food is worth it! I highly suggest the Yum Nua (Beef salad), Chicken Shrimp Pad Thai, Coconut Seafood soup (Tom Kha gai) and their coconut ice cream. The stir fry dishes are generously portioned. 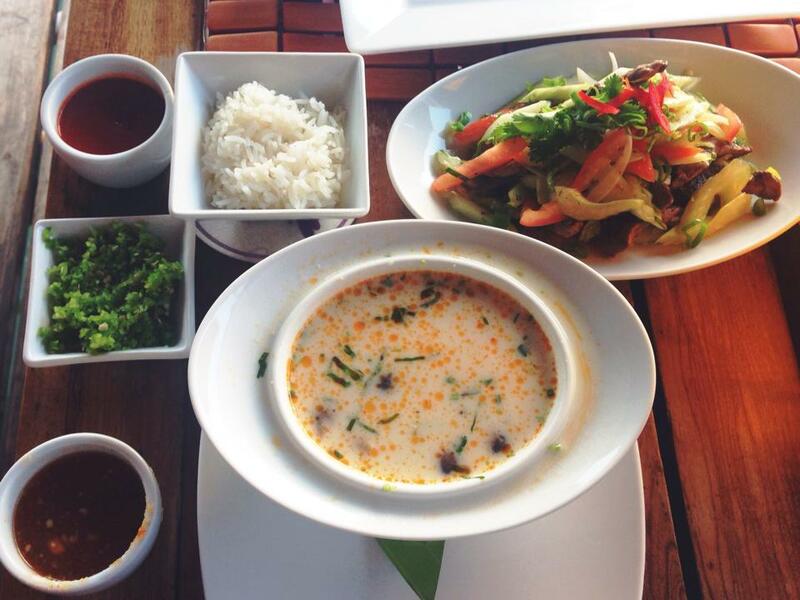 However, the flavor will not be that impressive if you have had authentic Thai Food. –Vegan/ Vegetarian: even when I’m traveling, I would always be searching for the possibility of eating clean and organic. If you are a vegan/ vegetarian, I totally recommend Vegan Planet (downtown area), and Natura with its amazing fresh juice selection (closer to the tourist area). Natura’s veggie soup is so delicious and you can also add chicken in it if you would like to. A huge juice there is only $3 and the combination choices are endless <3. I came back 3 times solely for the juiceeeee. 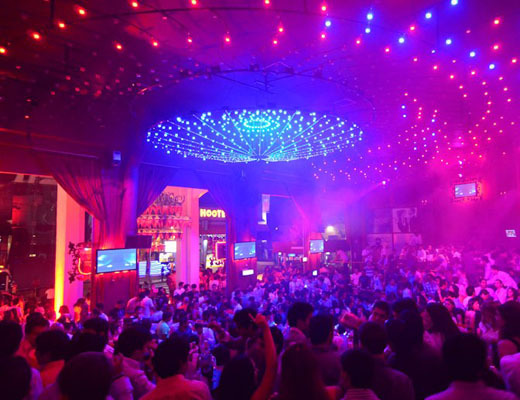 -Cancun has a very huge club and bar scene that is obviously catering towards the college/ young market. Most of these places will be charging a high cover price, especially during holiday peaks & the weekends, ranging from $30-$60. The good thing is drinks will be included in these pricey cover. There will be many sale men on the street pouring from left and right trying to sell you these wrist bands. Yes you will be very irritated after a while, however, they actually will be able to give you a good deal vs paying the full price at the entrance of the club if you have the patience to talk/negotiate with them. Also, it is a very important to keep in mind that many entertainment booking companies will be able to give you VIP access and bottle service at great prices. I highly recommend Mandala (Top 40/popular Music rather than electro). But do your research beforehand, don’t wait until last minute to buy the cover because they tend to push up the prices at the door when the club is fully packed with people ($ 80+)! Another (overpriced) and very popular place to go out is Coco Bongos, but this is more of a Vegas Show themed. -Water is not free at most places because they don’t serve tap water as in the case of the US! -As tempting as it would be to shop around from street vendors in Cancun that you can find almost anywhere around your hotel, DON’T! It will often be very overpriced and you are expected to bargain. Take the bus to market 28 (bus R1 I believe), go to the real market 28 with an ample of different shops, there you will find a huge selection with great choices and better prices. ALWAYS BARGAIN! Tip: typically go 40-60% below the price they suggested.